Write. Write words. Write sentences. Don't censor yourself. Just write. 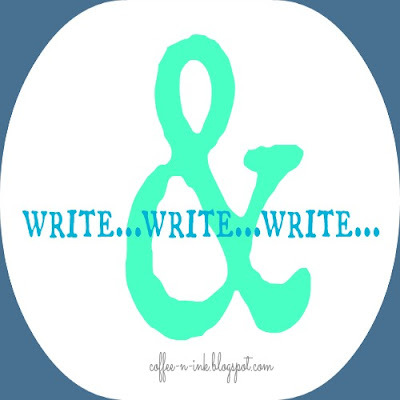 Write...Write...Write... Share. Repeat. I have to remind myself why I started blogging in the first place. My passion is and has always been the written word. I want words to flow through me onto a blank page. I want those words - those thoughts - to inspire. I want them to inspire my readers. From that inspiration, I want my inbox to blow up from the comments I receive from every post. But that doesn't happen. Sometimes it happens, but my blog is just not read yet... It will - it's in the process. But... I have had to take a hard look at myself and figure out why I blog at all. True story: I once had a blog called "Cover to Cover...and Everything in Between" and I had to stop blogging there. I had to stop blogging there. I didn't say I wanted to stop, but I was kind of forced to. People outside of the blogging world (because I've never - ever - had negativity in the blogworld about my writing) attacked me because of what I had written. They got me where it hurts - my soul. Writing is the other ingredient running through my veins. When I stopped writing at Cover 2 Cover, I was broken. I was hurt. I stopped blogging...or writing at all for that matter. Until... I met up with some blogger girlfriends...my people...people like you. People who understand that hurt I was feeling. Bloggers understand other bloggers. We just do. They understand what followers are...followers that stalk you in that nice way - because they like you, not want to creep you out:) They held my hand. They listened. And then they inspired me. So I made the decision... I made the right decision to start this space... I put a lot of thought into what I wanted this space to be. I wanted it to be somewhere I enjoyed coming to and felt safe in. It had to be somewhere that I could Just Write. It didn't have to be perfect. It could be sporadic posting, even. I wasn't going to make this blog feel like a job. I also wanted to talk about anything I felt...anything. My Faith. My Family. My Beliefs. My Past. Present. Future. Sometimes it would be silly...other times serious...but always me. I feel like I'm slowly creating that space. I like it here and I feel safe. This is why I blog. This is why I made the decision to blog again. This is my world. This is the world of blogging. It's where I belong. You read my blog posts through Bloglovin' You could even follow by GFC or having "coffee-n-ink" in your inbox! Find out when I've posted by following me on Facebook Twitter Instagram Will you join me? I was kind of surprised to see all the negative things that can come from blogging/the blogging community, and it is sad that people will attack others because they don't like what they write. I am glad you're here, and I enjoy your writing (even though I don't comment as often as I visit). Always remember to write for you, then nothing else matters! I was so mad about why you had to stop blogging for a while. I actually screamed out lots when your told me what had happened. And so relieved when you came here, to this new sanctuary. I am such a ding dong... but I realized I wasn't following you anywhere because when you changed to this safe place I never creepily stalked you here (wink) Oh how I miss you and your blog and your laughter is always in my head getting me through the day. I'm establishing my spot again too. We'll see how it goes. I love you from the subsol! Love this girl. I love following along with your writing, and I love how transparent you are in this post! Glad you're blogging again. I've finally decided to turn my blog back into MY own space. For a while I lost interest in sharing my personal life because of non-bloggers' opinions. So I kept my blog but did lots of sponsored posts because I couldn't bear to let it go. Now I'm shaping it back into my little own corner of the Internet.